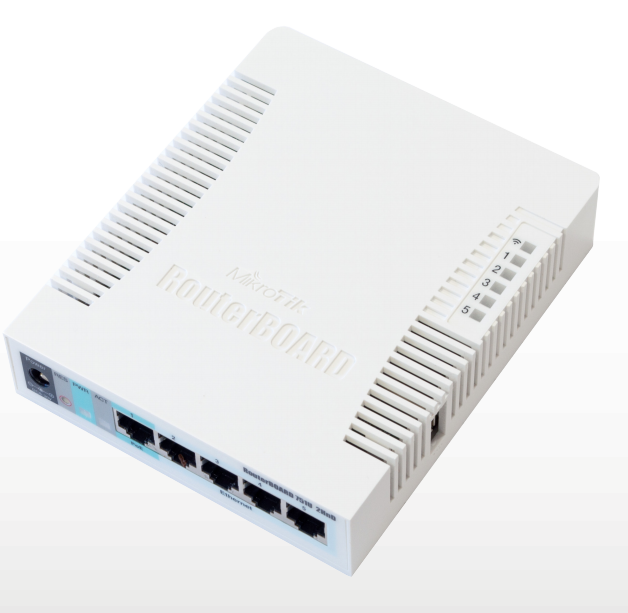 The RB751G-2HnD is the wireless SOHO Gigabit AP you have been waiting for. It has five Gigabit Ethernet ports, one USB 2.0 port and a high power 2.4GHz 30dBi/1000mW 802.11b/g/n wireless AP with antennas built in. Package contains RouterBOARD 751G-2HnD in a plastic case and power adapter.